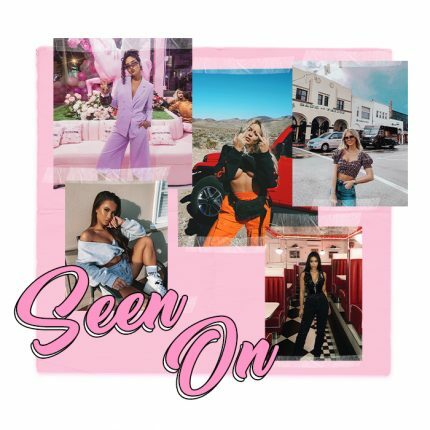 Mega babe and out of this world Youtuber Mika Francis gives us serious festi-feels with her festival diary of a weekend of glitter, sequins and waaay too much fun. 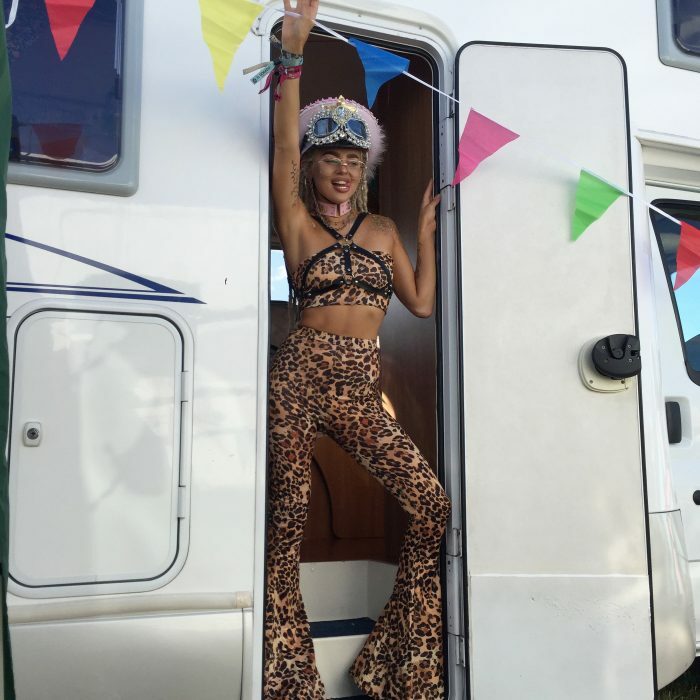 Live through her with her festival experience in her own words. 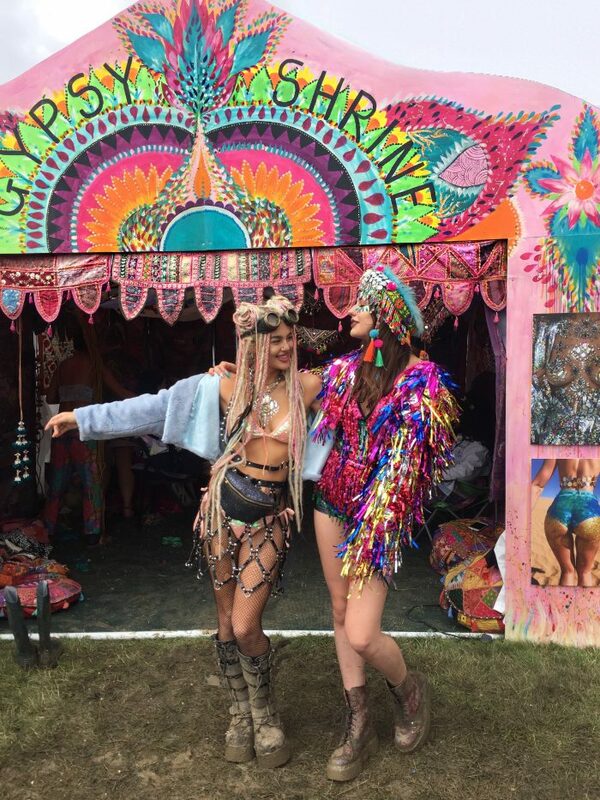 Secret Garden Party. A place of wonder, laughter, magical cubby holes and plenty of nudie men participating in jungle aerobics – yes, that really happens. 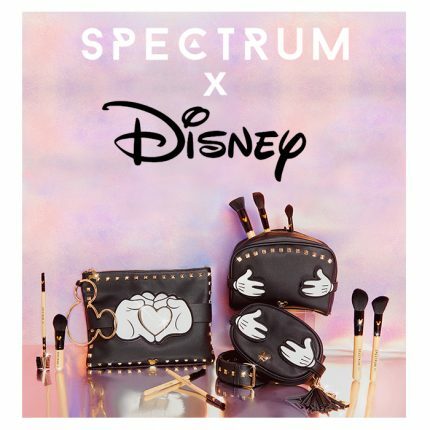 Coming home from SGP you can expect to have all your sparkly possessions covered in mud/glitter and perhaps even unpack to find a feather boa or a pair of glow in the dark goggles that definitely weren’t on your packing list! But one thing guaranteed; you’ll be bringing home a mind full of priceless memories, at least ten new contacts in your phone (e.g Magical Mike (SGP)🌻) -who you may or may not ever have the pleasure of meeting again- and a longing for one more moment in the sunshine (or rain) dancing with your favourite people in the magical land that is SGP. Upon cruising into the festival in our very first rented camper, we were gratefully greeted by glorious rays of sunshine and eagerly set up base camp. This consisted of a ‘glamorous’ outdoor lounge (a gazebo covered in bunting and birthday banners, and 5 pop up camping chairs!). Not to mention the rest of our fellow campers lodgings; a fabulous rainbow bell tent, which made for a very colourful encampment for the four days to come! Day one was a beautiful day spent catching up with reunited friends and fellow festival goers. 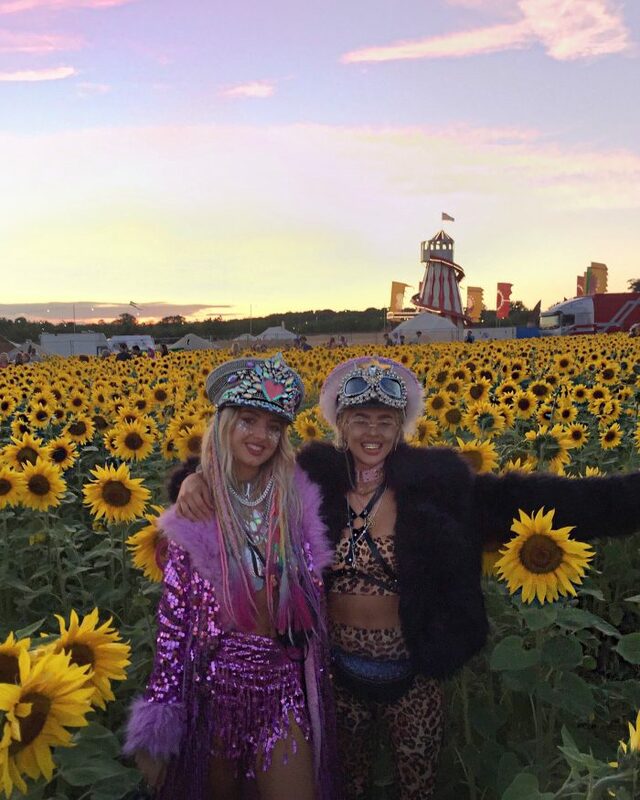 We spent time exploring and mapping out the site for the days to come and stumbled upon the secret field of sunflowers at sunset, of which to enter you had to pass through a seemingly ordinary door, crawl through a dark tunnel and then marvel as you popped out the other side into a field of sunflowers as high as your shoulders! That night we danced till we couldn’t feel our feet and headed back to base camp accomplished, and warmed up for the days to come! We kicked off day two in serious glamping fashion. After stirring around the camp until one, we then headed over to the spa and wood-fired hot tubs by the natural spring water lake. After one (or maybe three) bottles of well-earnt Prosecco later, we were clean and fresh and all giggled out, ready to hit the festival feeling fresh and funky. Once we had re-smothered ourselves in glitter and popped on our grooviest festival garms back at camp, we headed out until the sunrise, boogieing at several different stages throughout the day, but spending most of our time at the aptly named ‘wonky’ stage, where you could either choose to dance on foot or hop around on one of the hundreds of orange space hoppers in the area! By day three the rain had arrived – but we’d be damned if we let it stop the party! Brollies in hand we took to the woods for some semi shelter and grooved to our heart’s content! That night followed the sacrificial burning of the lake house. A temple floating in the middle of the great lake, that when lit on fire, burnt through to the shape of a heart, which kept a light for the remainder of the festival. Hard to believe, but yes, it was as magical as it sounds. The magic continued with the legendary firework display that Secret Garden Party is known for. For ten minutes the sky was alight with every colour of the rainbow, and every punter -no matter where they were on the grounds- were all looking up at the same display in awe. The final day was the biggest and best shake down of them all. The sun was back in all its glory and the gang made it our mission to discover all the secret and wonderful we had yet to find, and boy did we! We danced on the floating pagoda stage, we were mesmerised by the aerobatic aviation display where planes danced in the sky forming hearts and smiling faces! We discovered the secret stage hidden through an opening behind the garden of sunflowers and we danced and held hands with strangers until the last EVER sunrise of Secret Garden. It’s safe to say there is no other magic like The Garden. Peace and love, and may all we find a place even half as special in the future festivals to come.